Don’t forget your furry friends this holiday season! Cumberland Valley has a variety of shops that cater to our favorite four-legged loved ones. This pet box is doggie themed. 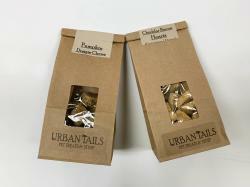 Urban Tails in Camp Hill is a unique treat boutique for pets. 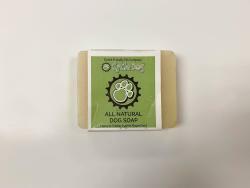 They specialize in natural pet products including their own line of treats. 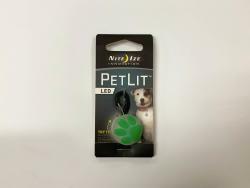 They also carry pet supplies, grooming accessories and more. 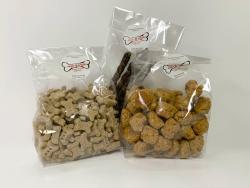 We’ve included two bags of their treats – cheddar bacon hearts and pumpkin chews, a hardened yak’s milk bone, a collar light for nighttime walks and an insect repellant soap. Doggie Delights in the West Shore Farmers Market in Lemoyne makes homemade and all natural specialty dog treats. We’ve included a bag of bacon-flavored bites, mini bones and jerky sticks. The cuddle buddy is for when your pup needs a naptime friend or something to toss and shake. 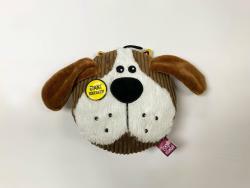 The cute dog design and squeaker add to the fun! 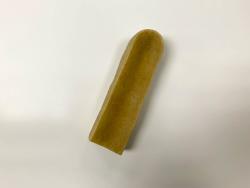 The Flavorit Breath chew bone promotes healthy gums and fresh breath. Fill the middle with your dog’s favorite spreadable treat. Both of these items are from Knisely’s Pet & Farm Center in Carlisle, which offers food, cages, treats, beds and more for a variety of pet and farm animals. 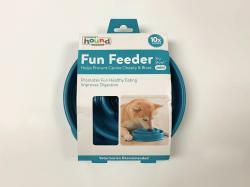 The Fun Feeder promotes healthy eating and digestion by slowing your dog down. It has a non-slip base and holds 2 cups of food. Let your pooch celebrate the season with the fun and festive snowflake chew toy. Both items are from Pet Valu in Lemoyne with carriers a variety of toys, treats, food and accessories for pets.